Autel is one of the world's leading manufacturers and suppliers of professional diagnostic tools, equipment and accessories in the automotive aftermarket. MaxiSys MS908, is an evolutionary smart solution for specialized automotive diagnosis with a higher level of powerful diagnostic performance. Utilizing the powerful A9 quad-core 1.40GHz processor, and a 9.7 inch LED capacitive touch screen, combined with the best possible coverage of OE-level diagnostics, and based on the revolutionary multitask-capable Android Operating system, the MaxiSys organizes information with test instrumentation to help you diagnose symptoms, codes, and customer complaints easily, quickly and efficiently. 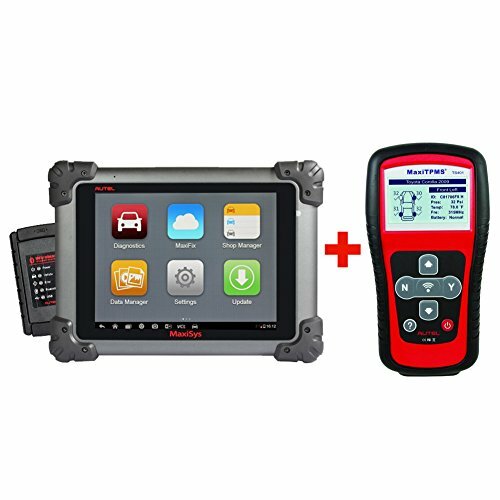 MaxiTPMS TS401 is a new generation TPMS diagnostic & service tool which provides you with easy and quick access to the faulty TPMS sensor. UNIQUE DESIGN: One-stop multitasking designed for ideal management of workshop operations to keep all data files, customer information, and vehicle records well organized. If you have any questions about this product by Autel, contact us by completing and submitting the form below. If you are looking for a specif part number, please include it with your message.